Ah isn't it just perfect when you get a nice, sunny colouring book and brand new colouring pencils then buy a new skincare product that matches them wonderfully in photos?! If this bright little bottle doesn't cheer you up I don't know what will. 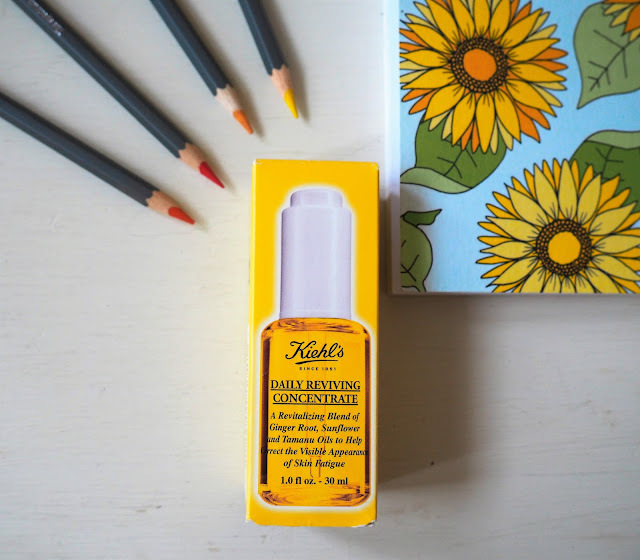 If you're familiar with Kiehl's Midnight Recovery Concentrate (it is one of my favourite skincare products and recently featured on my evening skincare routine here) this is pretty much the same thing - but for daytime! I generally stick to using facial oils in the evening and wouldn't usually wear one in the day as I worry it may be too heavy, but the Winter being particularly harsh on my skin and drying it out no end I have tried using this both as a serum underneath my moisturiser, and replacing it instead of my moisturiser, and my skin has lapped it up! This amazing oil contains Ginger Root, Sunflower and Tamanu, to help skin feel fresh and look energized morning to night. It costs £37 for 50ml but a little goes a long way and a bottle will last you months so it is definitely worth it! I am in love with this product and use it daily. 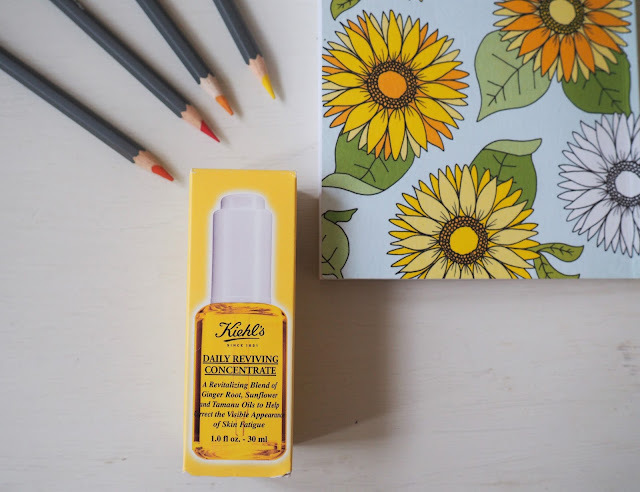 Have you tried anything from Kiehl's before? What are your favourite serums?